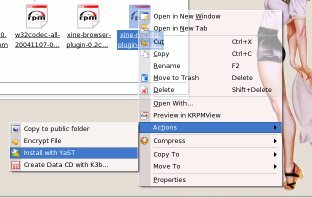 OK, so you need a package that you can't install from your SUSE installation disk, no problem, downloading and installing an RPM is still a fairly easy process. The first thing you need to do is download the RPM. My three favorite sources for downloading RPMs are rpmseek.com, RPM Search, Guru's RPM Site, and PackMan. rpmseek.com and RPM Search both have advanced search features, make sure you use them to narrow your searches and minimize your chances of downloading the wrong RPM. If you haven't done so, I strongly suggest you familiarize yourself with what an RPM is and how they are named, I've got a brief introduction with some links to more detailed information here. So search those sites for the RPM appropriate for your version of SUSE and architecture. Assuming you found what you need download it to your hard drive. You do not want one of the source RPMs; the ones that look like "src.rpm". If you did not find the software you need, it's time for Google. 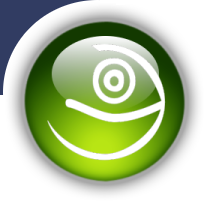 Try searching for "SUSE <your SUSE version> softwareX rpm". If that doesn't turn up what you need try "SUSE softwareX rpm"; if still nothing, try "softwareX rpm". Installing an RPM from another version of SUSE or not built specifically for SUSE may work, but it is not recommended; that said, I do it sometimes, and it rarely causes a problem (if it does screw something up, you can just uninstall it with YaST). YaST will pop up ready to install the RPM. You can select "Installation Summary" in the drop-down menu in the top left corner to see the package about to be installed. Click "Check Dependencies" and assuming there aren't any issues, click "Accept" and let YaST install the package. YaST opens and then closes. If this happens you may want to open YaST, click on "Install and Remove Software", and search for the package to make sure it was installed. If you find it installed, it worked. If not, it didn't; you may have downloaded the wrong RPM or for whatever reason the RPM didn't work. Do another search for the RPM as described above and give it another try. YaST opens and then complains of dependancy issues either by itself or when you click "Check Dependencies". You can look at resolving dependency issues for some tips on what to do.